Paris is planning to erect two glass walls near the base of the Eiffel Tower in an effort to keep the monument secure and looking good in photographs. The city has relied on protective metal fences positioned around the base of the tower since the Euro 2016 soccer championship. The permanent glass walls are designed to replace the metal barriers on the north and south sides of the monument. 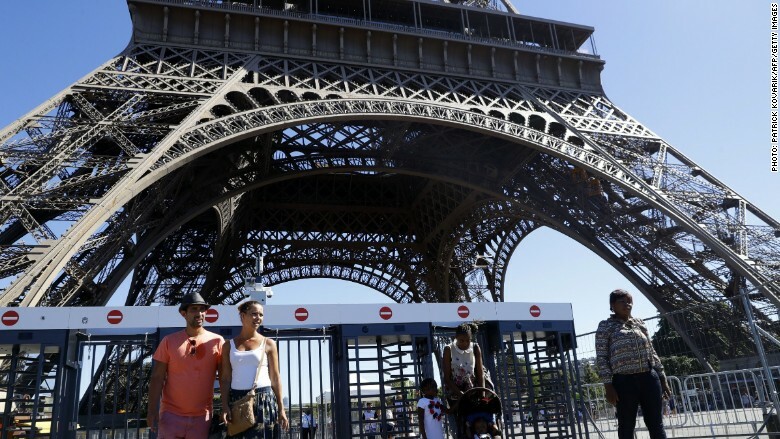 Jean-François Martins, the deputy mayor in charge of tourism, said the current metal fences are "disgraceful." "It is useful in term of security, but it ruins the view of the monument," he said in a statement. Martins said the new glass walls will provide Parisians and tourists alike with unobstructed views of the monument from Champ de Mars park and the Iena Bridge. Both are popular photo spots. Security barriers near the Eiffel Tower. 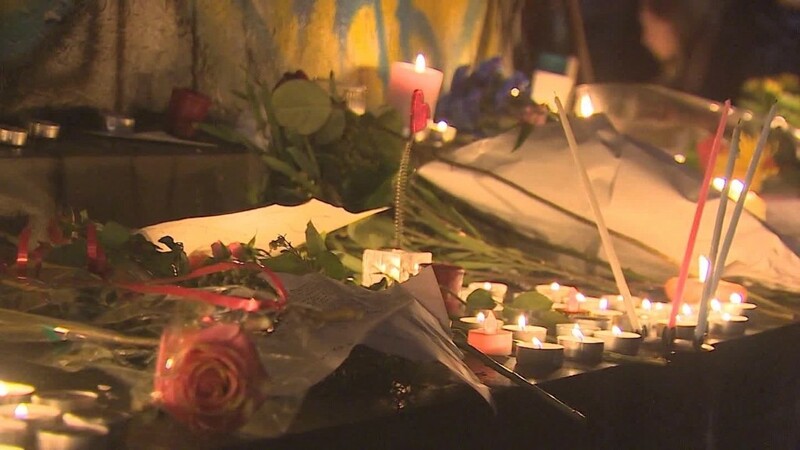 The French capital has beefed up security around its most popular tourist attractions following a wave of deadly terrorist attacks. Local media said the glass walls will be 2.5 meters (8 feet) tall. The city describes the Eiffel Tower as the most visited fee-paying monument in the world. Entry to the forecourt of the tower will remain free, Martins said. In January, Paris Mayor Anne Hidalgo proposed a 15-year, €300 million ($318 million) upgrade to the Eiffel Tower. The plan would include better elevators, stronger security, refurbished lights and an improved visitor entrance. The Eiffel Tower welcomes about 6 million visitors a year and makes about €82 million ($87 million) in revenue. About €13.7 million ($14.5 million) is spent on upkeep. The renovation plan would raise that to €20 million ($21 million). -- Alanna Petroff contributed to this article.